At ServiceMaster Restore, we’re proud to provide service to residents in an around Elkton Maryland. We strive to provide the best customer experience and commit to doing what we say we’re going to do. Our customers are so important to use that we provide 24/7 year round service. We understand that you may face a disaster at any time and for this reason our crew is standing by for your call. When you call, we’ll quickly schedule a time to meet at your home or business to assess the damage. We provide detailed quotes so there are never any surprises. We’ll even work directly with your insurance company to ensure a hassle free claims process. 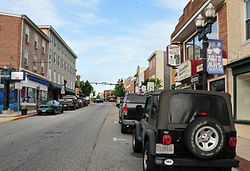 If you would like advice or inquire about services in Elkton, MD, please call us or send us an email.